Tamta is a dog we acquired after a kennel in Serbia (Custodi Nos) made a selective mating. 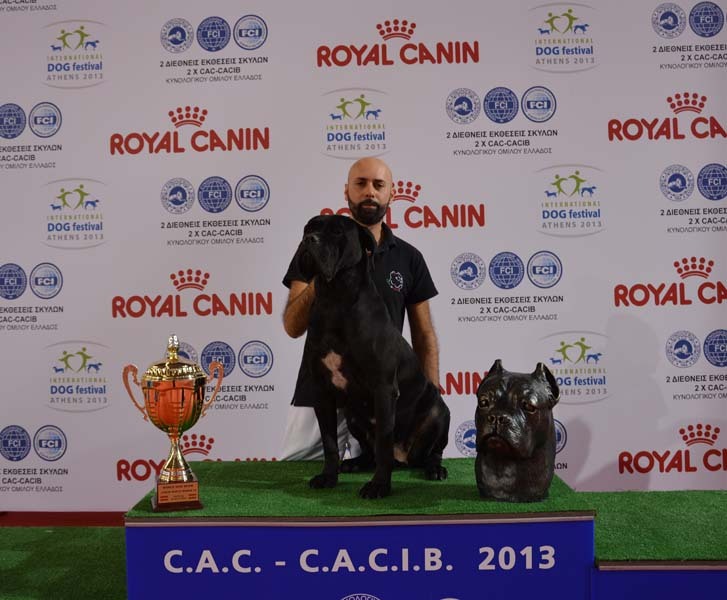 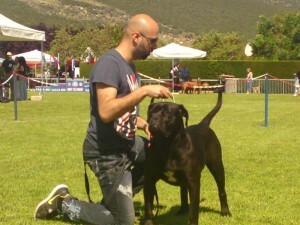 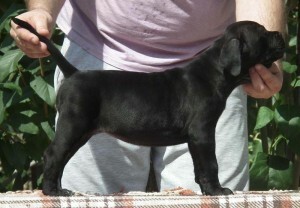 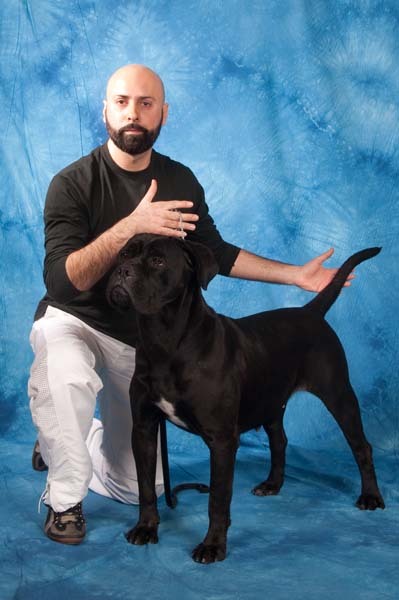 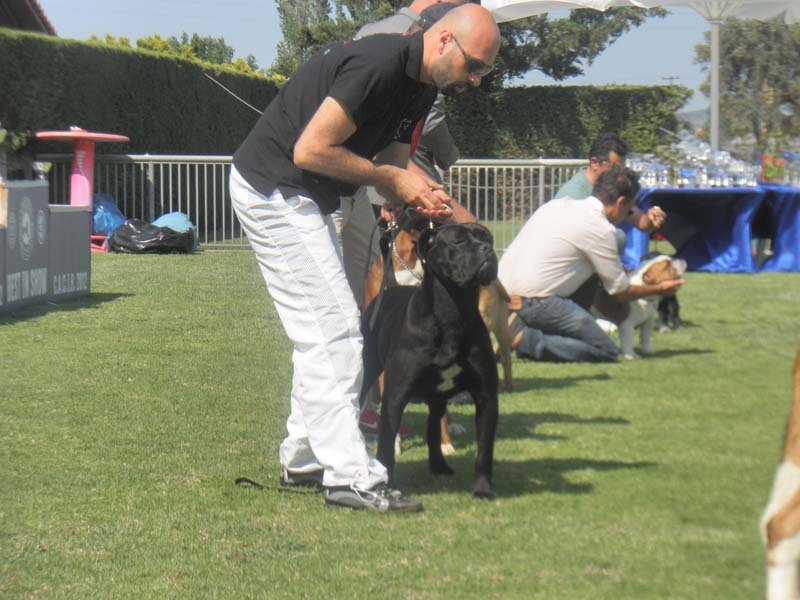 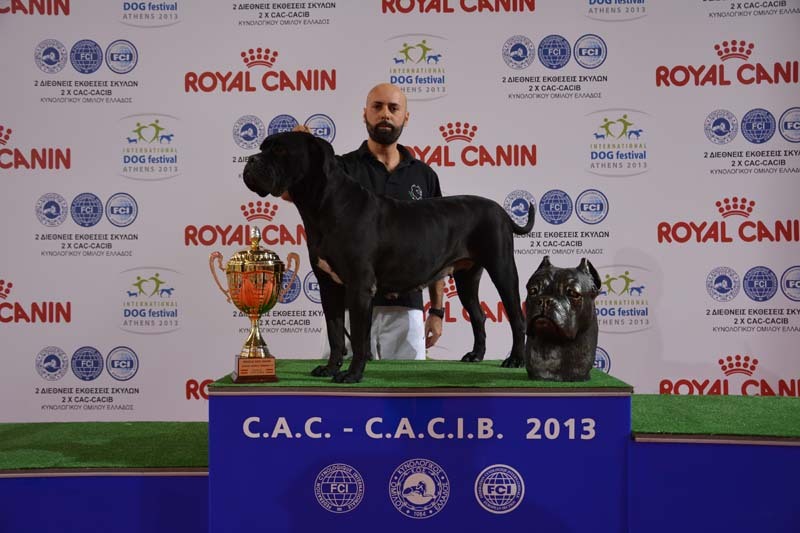 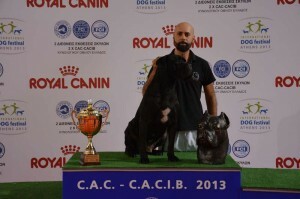 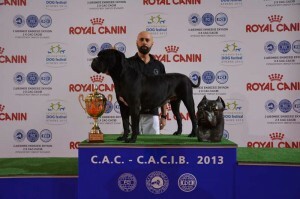 Tamta is the dog who has revealed us as the first GREEK cane corso kennel in an World Dog contest. 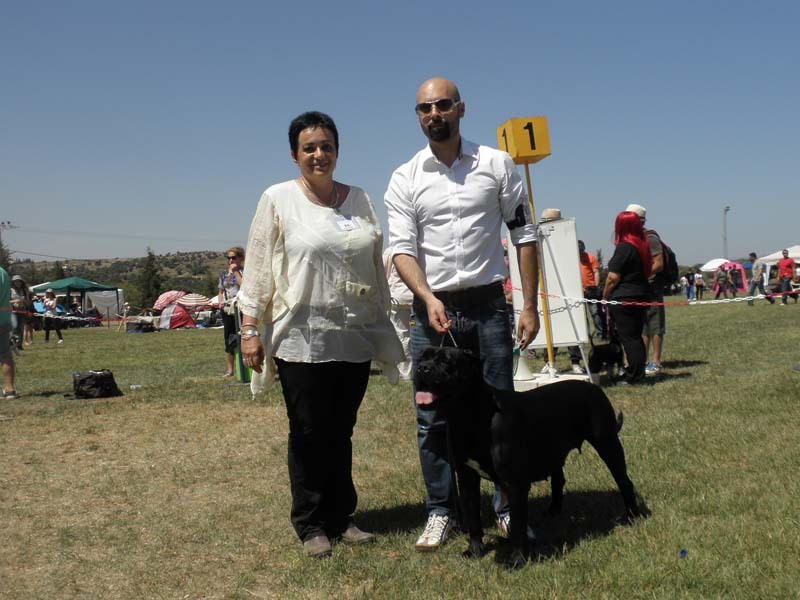 She has been awarded in many morphology exhibitions, as a Champion Junior , Champion, Grand Champion of Greece , best teenager dog in the Mediterranean contest in 2012, Exhibition Winner dog in 2013. 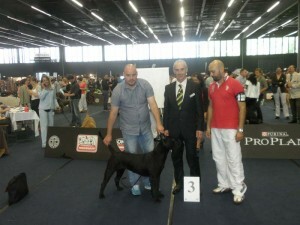 Moreover Tamta participated in 2012 world contest, which was held in Salzburg and ranked 3rd as (JUNIOR WORLD WINNER V3). 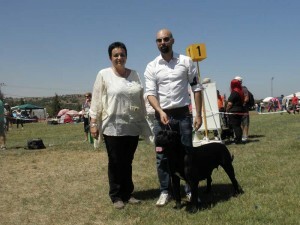 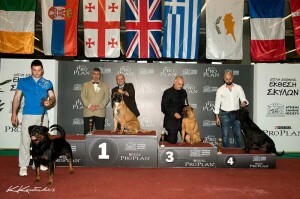 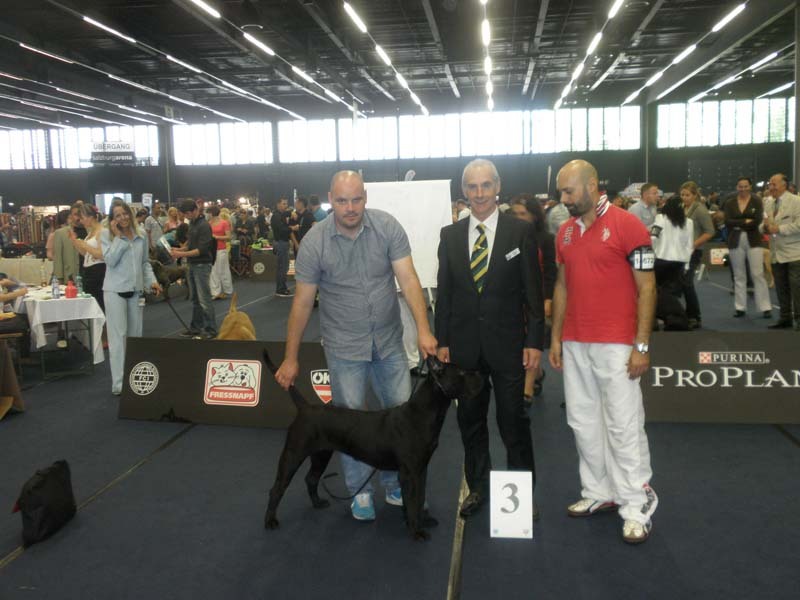 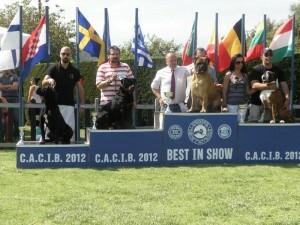 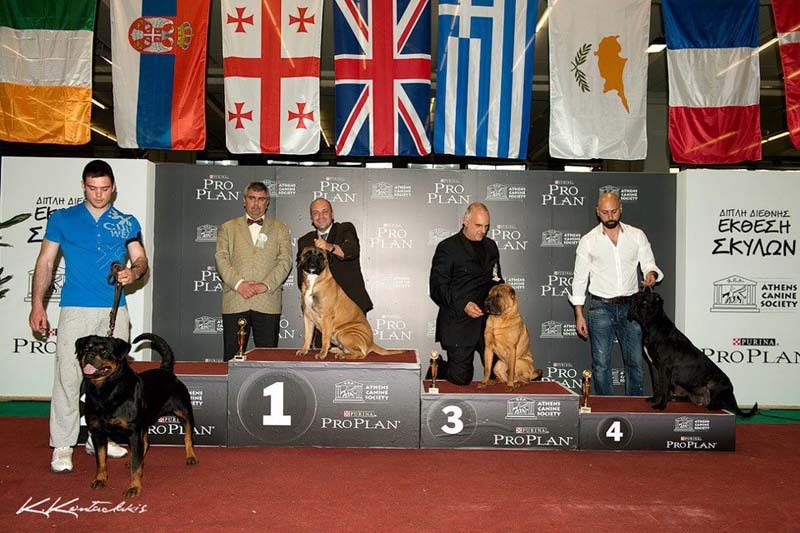 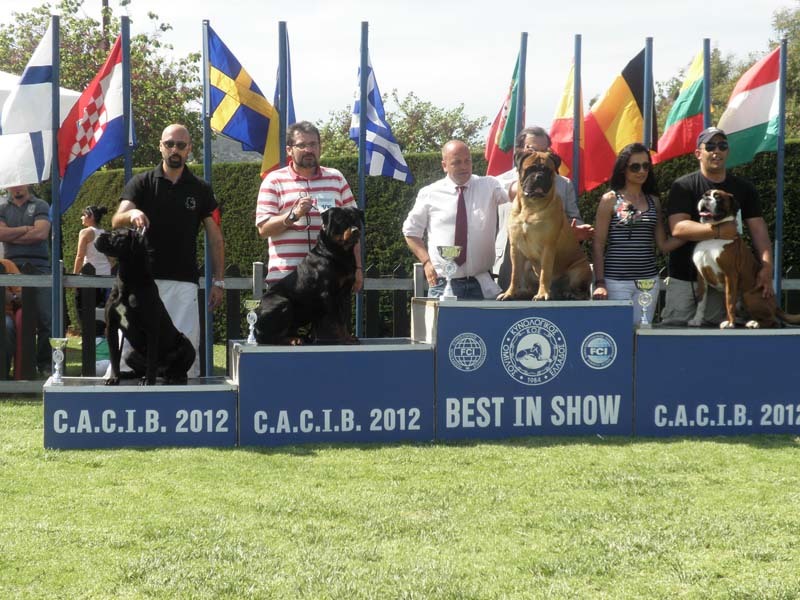 Tamta was also confirmed as reproduction dog, as she is the mother of FORZA DI RAZZA GOTHAN, who was the dog that ranked second in European contest, held in Geneva , in 2013.